By Suraya Zainudin in Internet. Updated on November 1, 2017 . Our finances are evolving, and the banking industry does not seem to be a huge part of that. Technology is making our financial services faster, cheaper, and more efficient, but it is mostly tech startups and fintech (financial technology) firms that pave the way for evolutions in finance. Mobile payment apps are now common. We expect to conduct most financial transactions online, from making payment to completing money transfer, getting a loan or investing for our retirement. With every service available digitally, there is a big probability that one day we will turn physical bank branches redundant. It would be outdated to expect customers to physically set foot in a bank. Let’s look at 7 ways the financial sector is getting a leg up from technology and how the industry is evolving right under our noses. Most of us have heard of bitcoin and the blockchain. The digital currency suffered a huge crash following a bubble in 2013, but have proven to be much more resilient than expected. While the price has not yet recovered to its peak value, the long sideways trend in 2016 suggests that the 8-year old currency is not going away anytime soon. 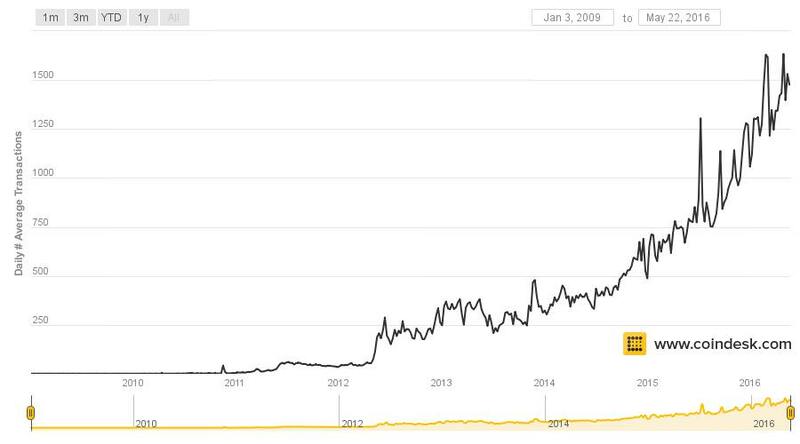 However, rather than price, bitcoin transactions can show a better picture of its usage. From the below chart, we can see that the daily average bitcoin transactions have increased steadily. While this does not conclusively prove that more people are using bitcoin – it could be that the same people are just making more transactions – it does imply a strong bitcoin payment infrastructure which encourages people to keep using this currency. The strong infrastructure can be attractive to businesses, especially small-to-medium size business owners operating online. Payment via bitcoin is irreversible, which means customers are not able to give faulty checks (that will bounce) or unfairly dispute payments (in PayPal). On the business side, owners get to save between 2-4% in fees imposed by popular payment processors. While bitcoin will have a long way to go before universal acceptance like fiat currencies, it seems to be getting there, fast. Bitcoin remittances are getting more and more popular, and with good reason. As compared to traditional remittance services, its fees are much more affordable and the funds transfer time ranges from instant to mere hours instead of days. Bypassing remittance companies and banks completely, there are plenty of bitcoin remittance services that enable money transfer easily, benefitting millions of foreign workers and expat community everywhere. With the popularity of bitcoin as payment and remittance, there are now financial platforms that specifically support both crypto and fiat currencies. One such company is Wirex, which combines and simplifies both systems for its customers. All accounts are online, and can be opened and accessed without ever going to a branch. Hybrid financial platforms have a global target audience, as bitcoin itself is global. Here we see the start of the trend where smaller startups can actually rival bigger banks in serving the global audience to provide all-in-one financial services – something that was out of their capacity just a mere few years ago. It is tempting to picture robo-advisors as robots sitting at desks, surrounded by piles of paper. However, robo-advisors are simply online systems that can help investors manage their finances, especially when it comes to investments. Basically, they are fund managers without the high commission rate. Robo-advisors help to fill a big gap when it comes to easy and affordable access to financial advice. 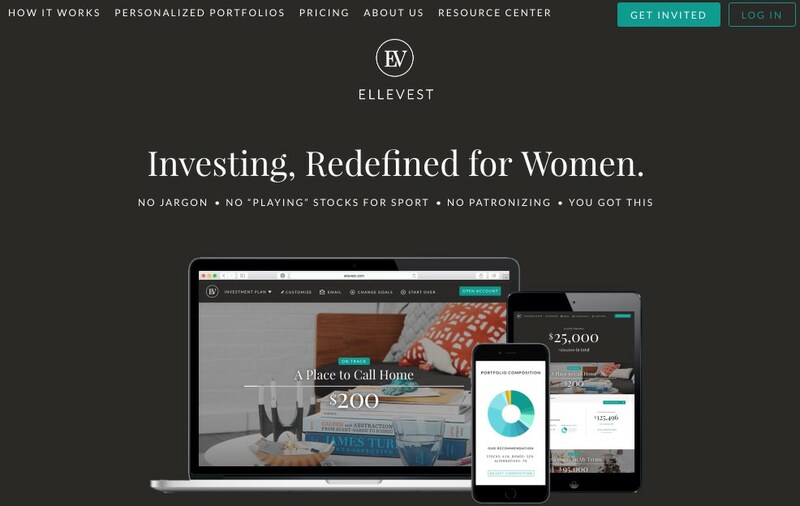 There are even specialised robo-advisors that are pre-programmed to cater to specific demographics, such as Ellevest for women investors. Millennials are definitely not sidelined for this one; you can find a few robo-advisors here. Now it is easier than ever to look for the financial information of many global companies. 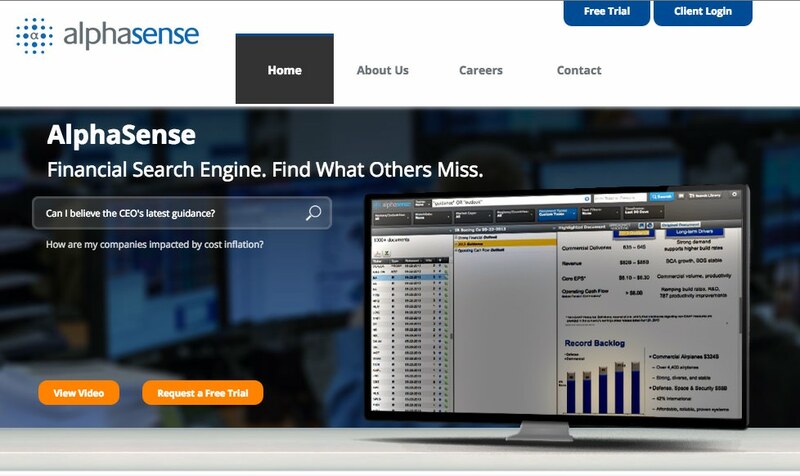 Dubbed ‘the Google for financial services’, AlphaSense indexes "research documents, including company filings and transcripts, presentations, real-time news, press releases, Wall Street investment research, as well as clients’ internal content", according to its CEO Jack Kukko. How does this impact our finances? Well, for one, Millennials greatly favor corporations that are socially responsible, and only support companies that align with their values. This means that it is now easier to call out corporations that fabricate or over-exaggerate its CSR claims, or boycott a product/service due to unethical spending performed by the company. Secondly, it has significantly reduced the time that finance professionals need to conduct research, which should lead to price slashing in financial advice services. A relatively new investment vehicle, Exchange-Traded Funds or ETFs has surged in popularity in the last few years. They are popular for many reasons: they are cheaper to manage and hold, easier than buying individual stocks, as diverse as mutual funds, and offer many thematic industries that are appealing to new investors. For example, Purefunds offer ETFs that track the video game industry, drone economy, and mobile payments. Additionally, the popular online broker TD Ameritrade offer more than 100 commission-free ETFs, and DriveWealth‘s Passport offers non-Americans the chance to invest in US-based ETFs. Of course, all of the above companies came with their own mobile apps, which makes investing in ETFs easier and so much more appealing to tech users. Traditional banks are no longer the only option to get loans. Individuals and small businesses can now get access to funding from individuals through P2P lending marketplace, where multiple lending platforms (here are a few) now exist to connect borrowers and lenders. Like a typical loan contract, lenders will charge interest in exchange for funds. There are also peer-to-peer lending platform that specifically focus on loans via bitcoin, such as BTCJam and Loanbase. This ‘Uber moment for financial industry‘ is not likely to stop anytime soon – there are newer concepts that is still in blueprint, or in the development phase. For example, peer-to-peer contracts can be performed using Ethereum, a decentralized platform for applications that run exactly as programmed cutting out or reducing the possibility of fraud, censorship or third-party interference. With these qualities, these ‘smart contracts‘ can be applied to even complex financial agreements, but they are currently beyond the capacity of a non-coder to use. It is too soon to predict whether the above products and services will be enough to take over the existing traditional financial systems. However, one thing is clear: fintech will definitely force traditional banks to evolve, or see their profits eaten away.